Natural yeasts give these Oregon breweries a hyper-local sense of place. You can’t see them, yet drifting in currents of air are tiny microorganisms. They collect on surfaces, and if those surfaces contain a source of sugar, they feast. Why should you care? Well, this behavior allowed humans to brew the first batches of beer. There’s something else going on here too: Microorganisms carry with them the characteristics of place. Like birds and plants around them, they belong to distinct ecosystems defined by climate and environment. And yes, you can taste it. Winemakers call the unique combination of sunlight, soil and climate “terroir.” These elements conspire to produce a grape that tastes different from those of exactly the same varietal grown a few miles away. 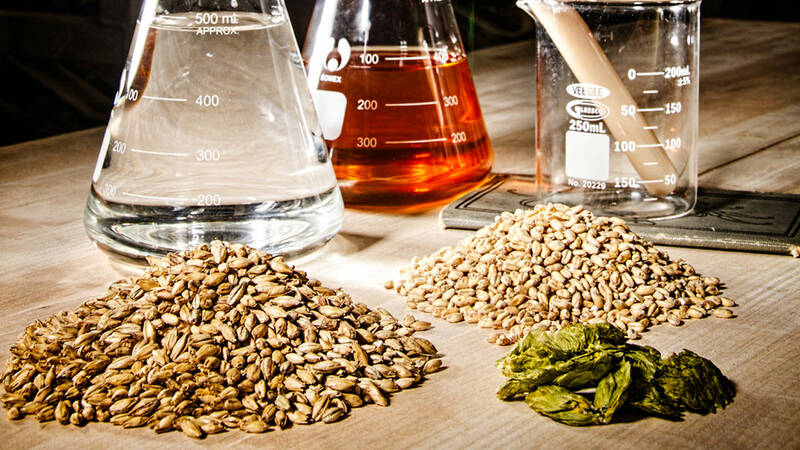 In the world of beer, this concept has little relevance — except when the beer is fermented by the wild yeasts and bacteria surrounding a brewery. Brewers term this “spontaneous fermentation,” a process in which breweries allow wort to be inoculated by wild yeasts floating in the air. This may be an ancient concept, but it’s one most of today’s brewery techniques seek to eliminate. What we’re talking about is risky beer making — because obsessive and fastidious brewers must give up a little bit of their influence. If the paradigm of modern brewing is control, this is exactly the opposite. 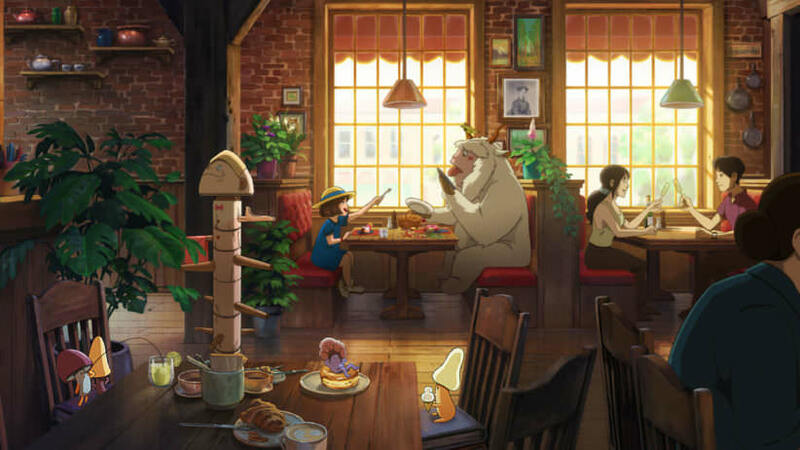 But for those willing to invite nature into the brew house, the result is a unique taste of place. It should come as no surprise that in beer-crazy Oregon, a number of breweries court this danger. In fact, you’ll find them scattered all over the state. If you want to take a gastronomic tour of this funky, yeasty terroir, these unusual breweries beckon. The state’s most committed wild-ale brewery is De Garde Brewing, which only makes these kinds of beers. Owners Linsey and Trevor Rogers searched for a place that had the kind of climate they were looking for, and the gentle, cloud-washed valleys around Tillamook seemed ideal. “We pursued the Oregon Coast as the likely place to have success, given that it is temperate year-round,” Trevor says. Cooler temperatures suppress the activity of the most dangerous spoilage organisms, and the healthy, natural coastal air contains the wholesome microbes the Rogers were looking for. They inoculate the wort — the pre-beer that comes out of the brew kettle — by leaving it overnight in a wide pan called a coolship, which is exposed to the open air (and resident yeasts in the brew house). If you go: Visit De Garde Brewing’ tasting room in downtown Tillamook, which is housed in a converted auto repair shop and features a dozen taps. In addition to pouring their own brews, De Garde also spotlights other craft breweries on its rotating beer menu. Like the Rogers, Block 15 Brewing Company‘s Nick Arzner also uses a coolship to gather yeast. But while Corvallis may be in the heart of the fertile Willamette Valley, the brewery itself is in a distinctly urban locale: right in the center of downtown. If you go: You can visit Block 15 at one of two brewing locations in the Corvallis area. Its wild-and-sour beer program operates out of the original downtown brewpub. In the wine country of Yamhill County, Wolves & People‘s Christian DeBenedetti went out and met the wild yeasts that circulate around his family farm rather than inviting them into the brew house. He selected a particularly tasty-looking plum from one of the trees in the orchard and sent it to a lab so the yeast could be isolated from the skin. The particular strain of yeast that came from that plum is now used to ferment some of the beers (often in combination with other yeasts). 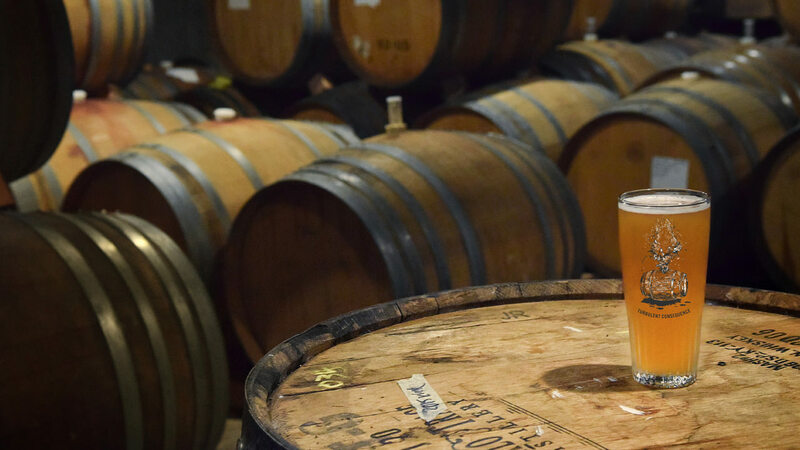 If you go: Visit the Wolves & People tasting room and beer garden, located just outside of Newberg, where you can taste their year-round brews as well as seasonal beers and occasional cellar reserves. 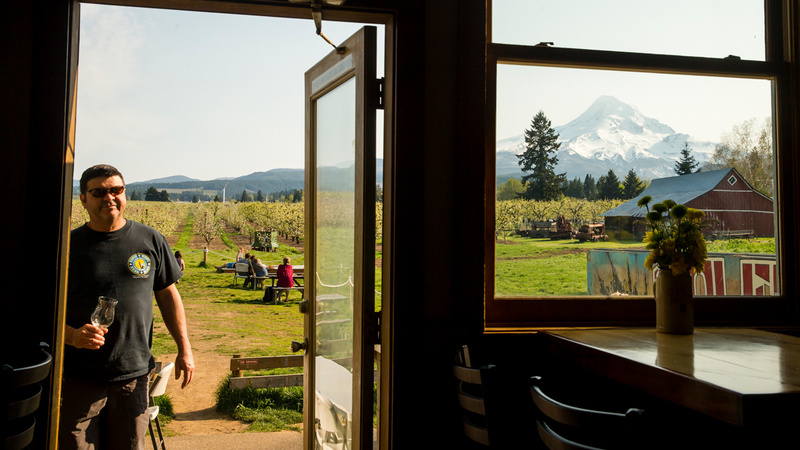 Solera Brewery in Parkdale may have one of the most iconic Oregon views — it looks out across an orchard onto snow-capped Mt. Hood. It’s no wonder, then, that brewer Jason Kahler takes a novel, hyper-local approach to making his beer. 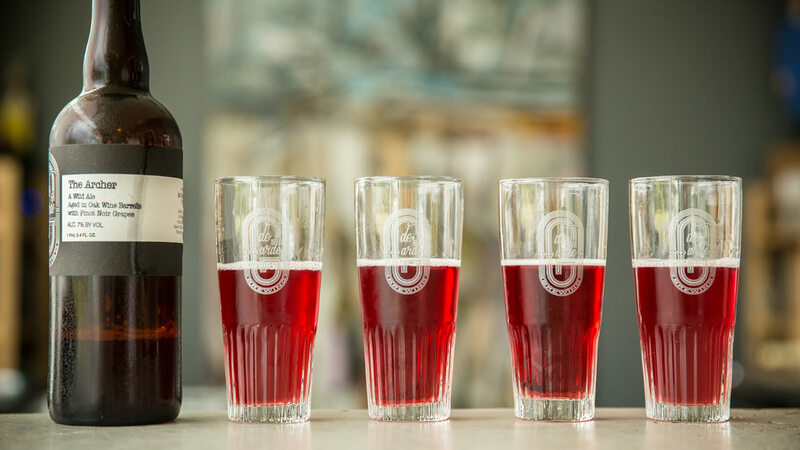 The orchards that surround the brewery offer him an excellent selection, and he can ask local farmers to leave the fruit on the branch longer to increase aromatics, flavor, sugar content and, of course, yeast accumulation. 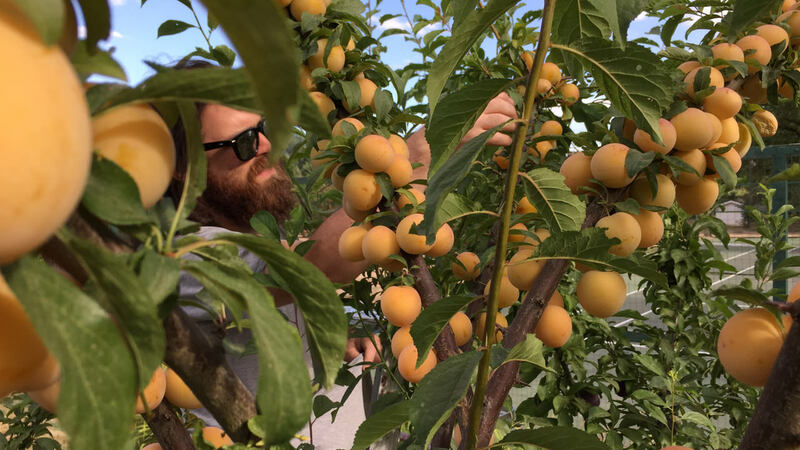 This is a benefit to the farmer, too, because Kahler doesn’t need store-ready fruit. That ripe flavor is present in the beer. If you go: Taste an ever-changing range of brews at Solera Brewery’s public house, located in what was a 1930s-era cinema in Parkdale, about a 20-minute drive south of Hood River. Former Deschutes brewer Paul Arney of The Ale Apothecary relies on indirect methods of including local yeast in his beer: He has built a brewery that uses incredibly hands-on techniques to make small batches of beer, working at all times to keep harsh chemicals out of his brewery. Over time, the local yeast has been collecting inside the brewery, working its way into the open vessels Arney uses to ferment his beer. If you go: Visit the Ale Apothecary’s tasting room in Bend to sample their brews; the brewery itself is not open to the public.